Every day, our pet groomers here at Lake Hamilton Animal Hospital prove that their skills can handle any challenge. 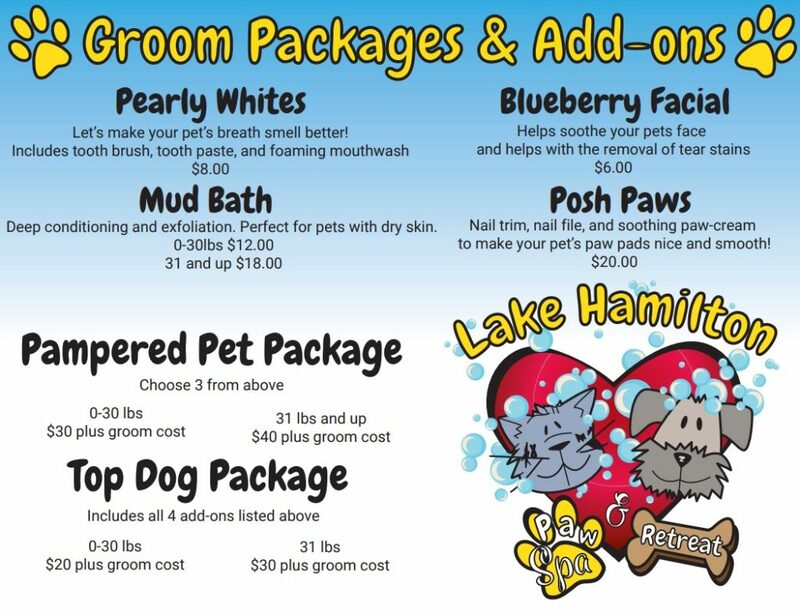 Call our groomers today for a FREE consultation on how we can make your pet even MORE FABULOUS! Some call it grooming, we call it spa day! Listening to the client is the most important skill for a groomer to master. That is why Kimi McKim, who does all the Pet Grooming at Lake Hamilton Animal Hospital, talks to her clients at length to find out exactly what they want their dog or cat to look like. Kimi is a fantastic member of our team and is ready to make your pet feel right at home. She prides herself at being the best groomer in the Hot Springs area. Everyday Kimi proves her skill at both hospitals and is up to any challenge. Call our groomer today at 501-767-8503 for a FREE consultation on how we can make your pet even more fabulous.